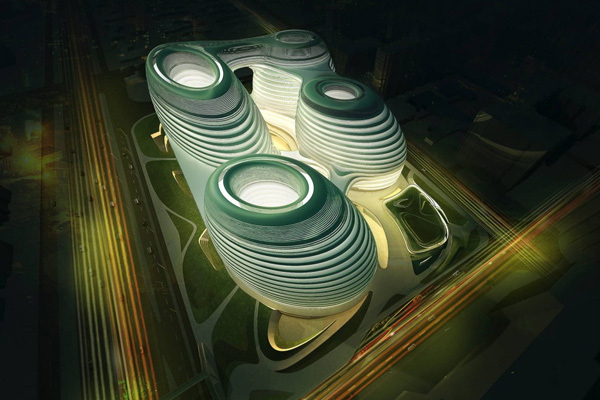 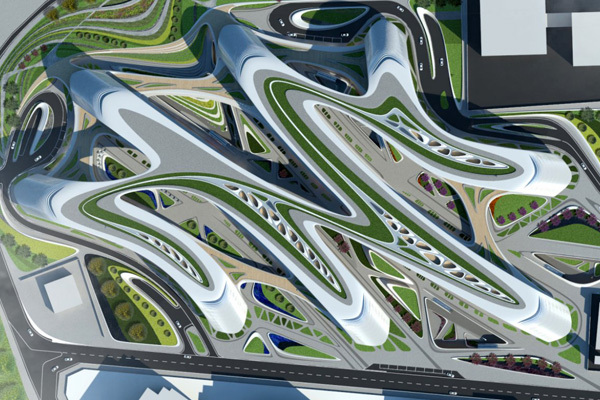 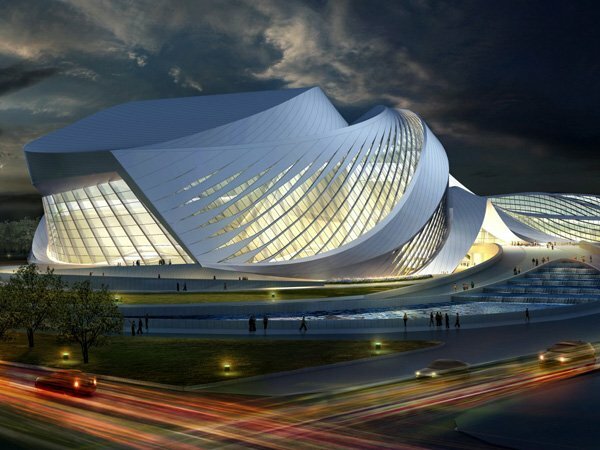 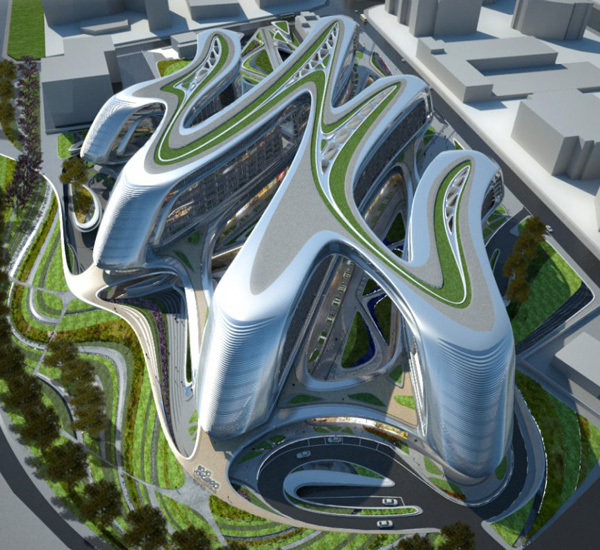 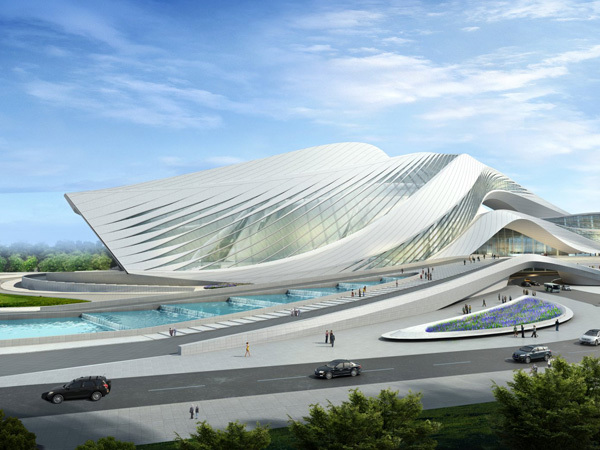 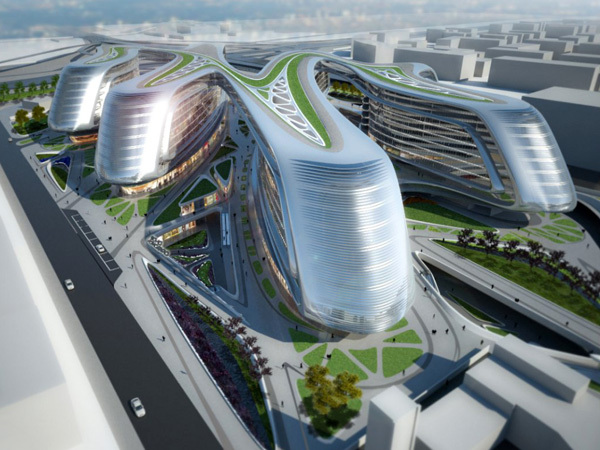 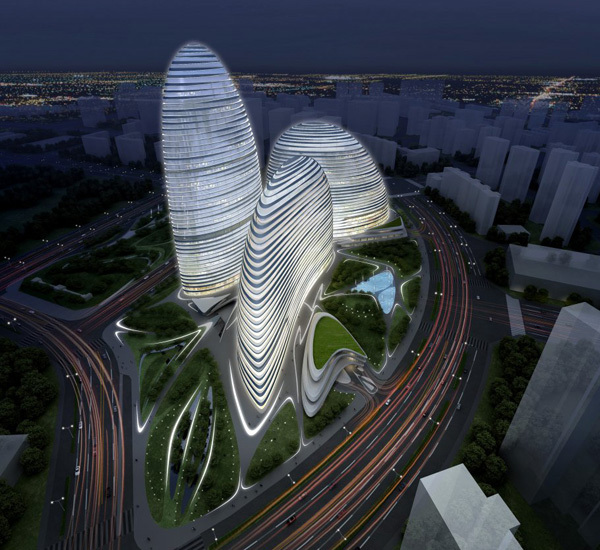 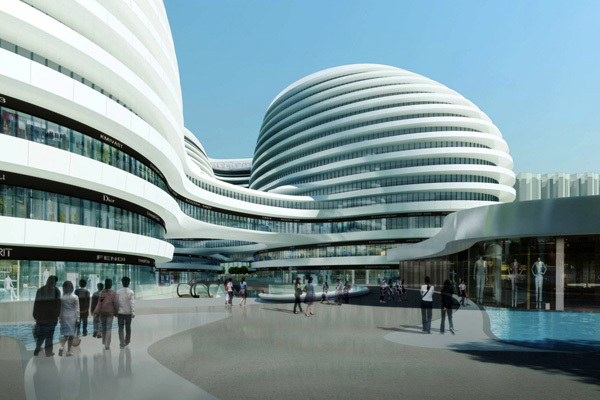 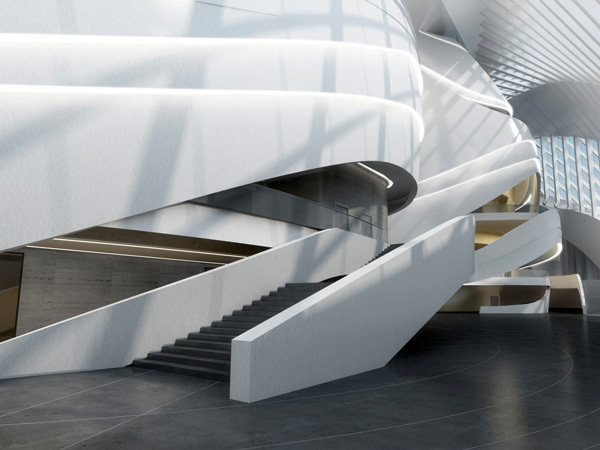 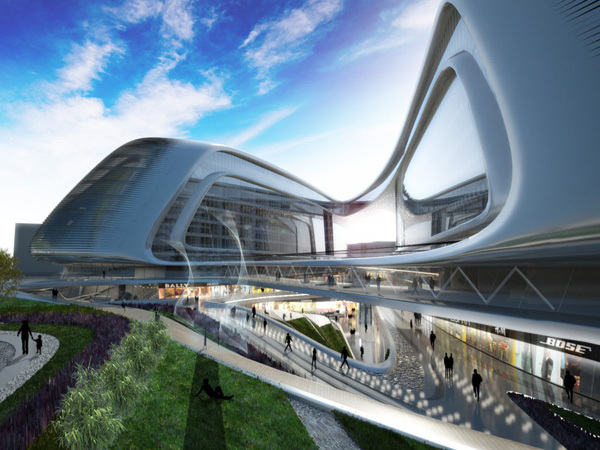 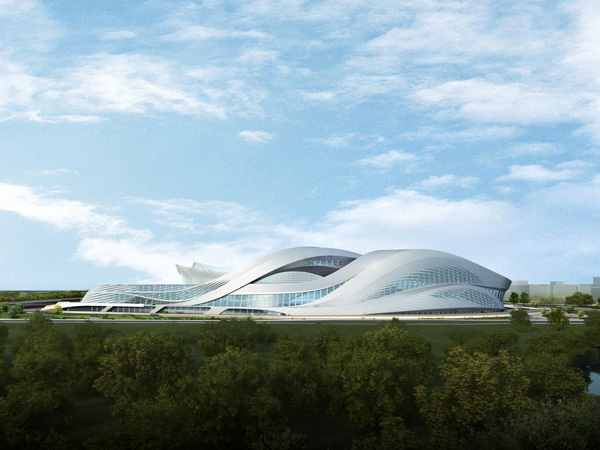 Over the past few years Zaha Hadid and her band of architects have been making news in China. 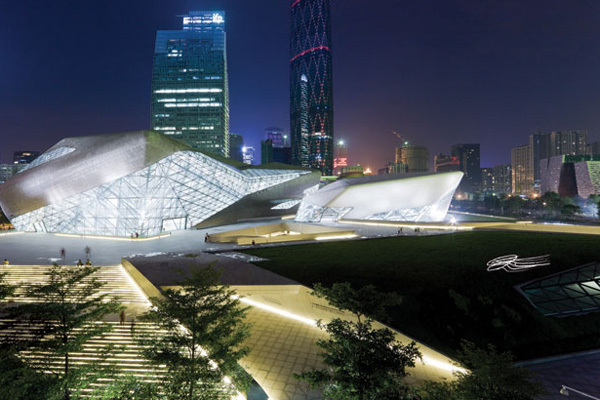 With their Guangzhou Opera House bagging many accolades and awards this year, we thought about recapturing for you in one page, how she is managing to change China's skyline. 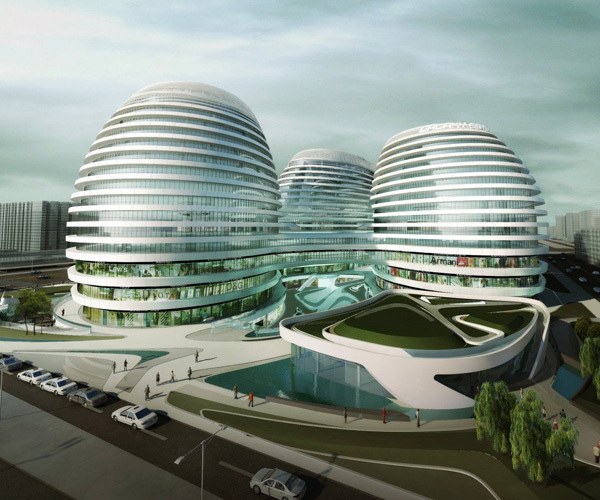 There could be many political inferences we can draw from the sudden spate of modernizations in China. 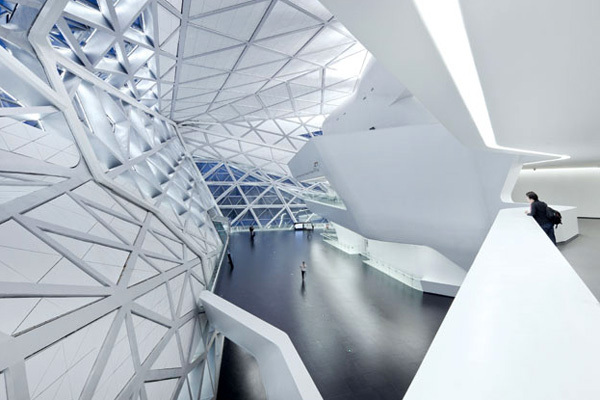 But for the sake of our interest in design, we stick only to admiring the beauty and integrity of these 5 magnificent projects. 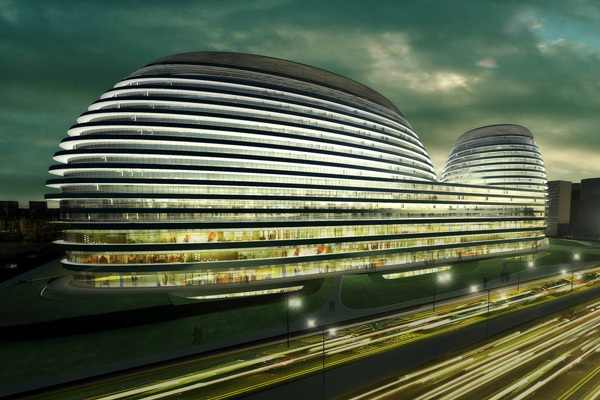 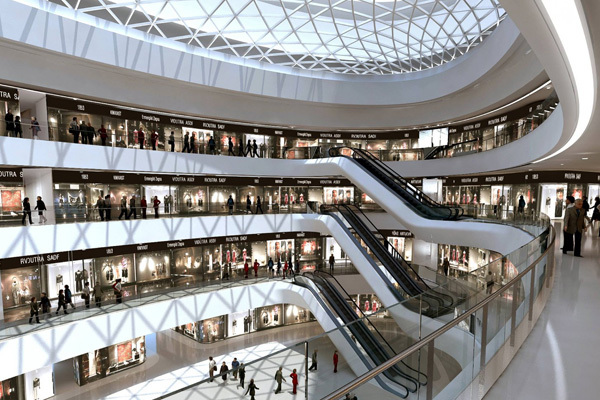 The Sky SOHO is an office and retail destination housed in close quarters to Hongqiao Transportation Hub and Shanghai's city centre. 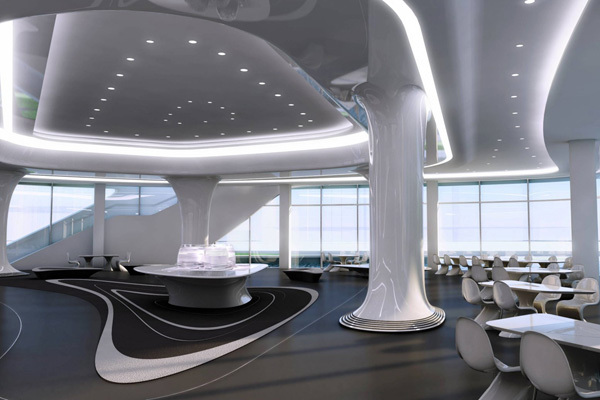 The Hongqiao Airport is in close quarters as well. 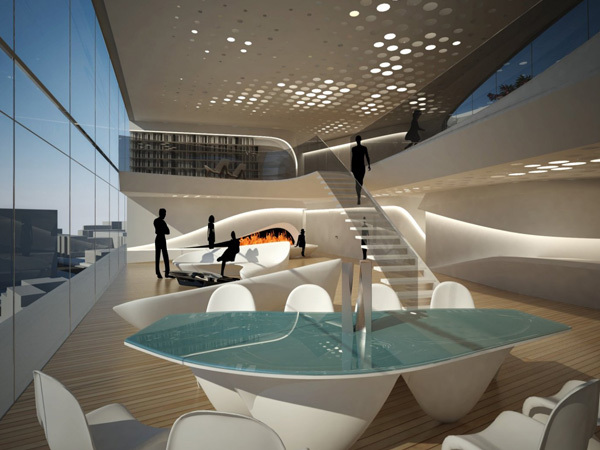 The structure consolidates three thematic courtyards and reflects distinct cluster of activities. 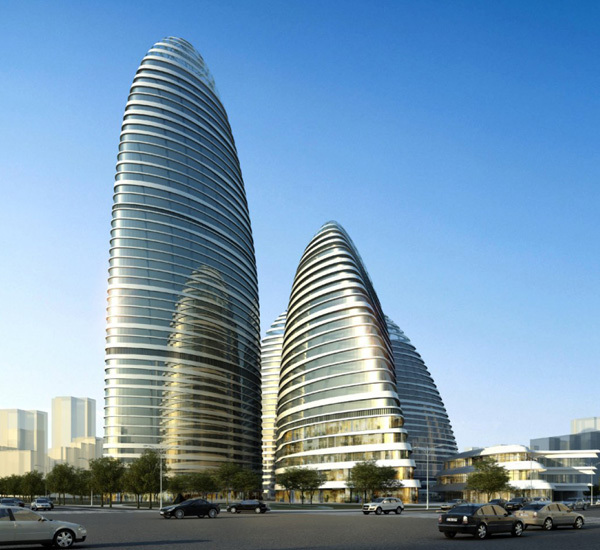 Wangjing SOHO is an office and retail complex located plum in the center of the city and the airport. 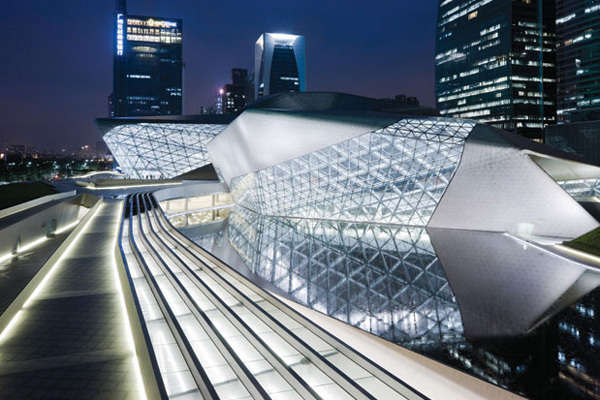 Conceived as two Chinese Fans that circle and embrace each other in an intoxicating dance, Wangjing SOHO establishes itself as an commandeering establishment of the city skyline. 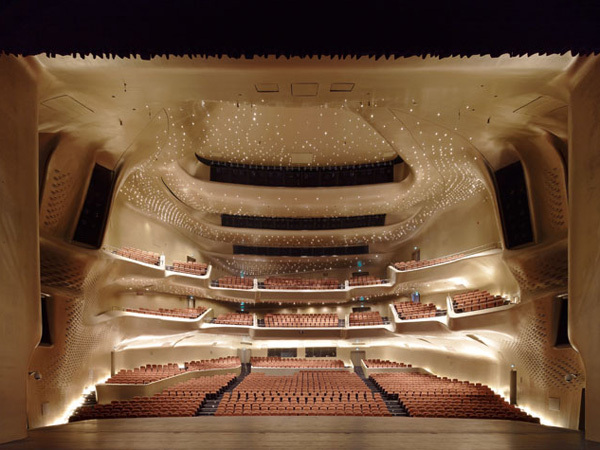 The 70,000 sqm Opera House in Guangzhou is a building, which can seat 1,800 guests in the Grand theatre. 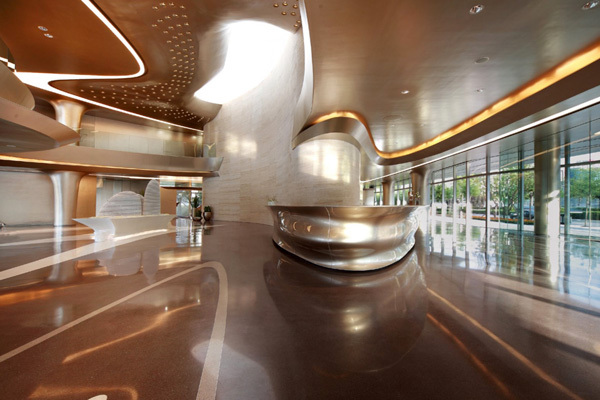 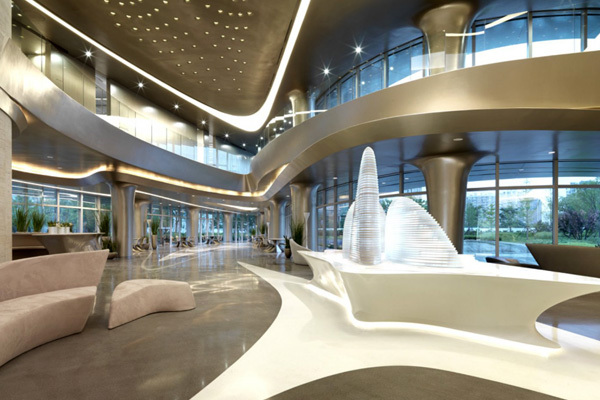 The entrance lobby and lounge, Multifunction hall, other auxiliary facilities and support premisesconfirms that this city as one of Asia's cultural centers in the making. 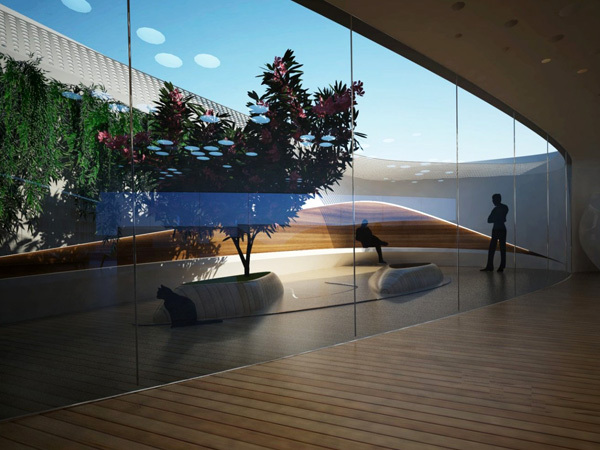 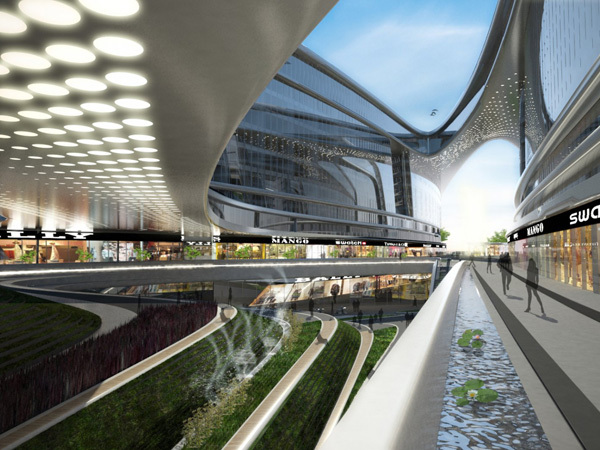 The New Century City Art Centre is slated to become the new cultural destination for the Sichuan Provence. 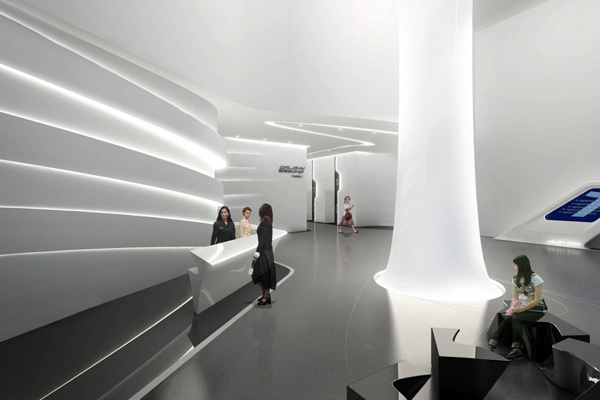 The Centre is foretold to become an unprecedented collection of world-class arts, performances and leisure venues. 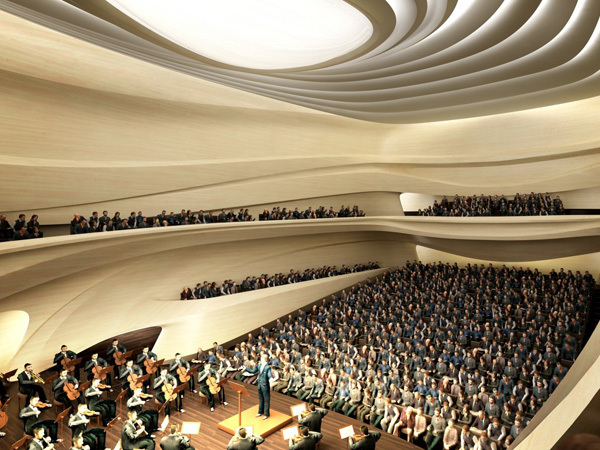 The NCCAC is also said to become the regional arts and music center. 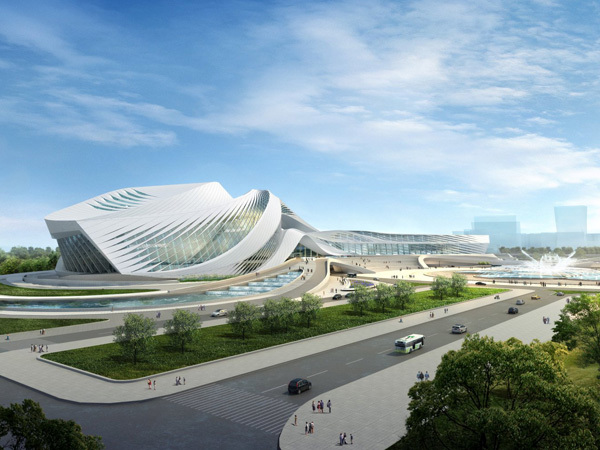 It will house three auditoria, an art museum, an exhibition centre, a learning centre, bars, restaurants and shops. 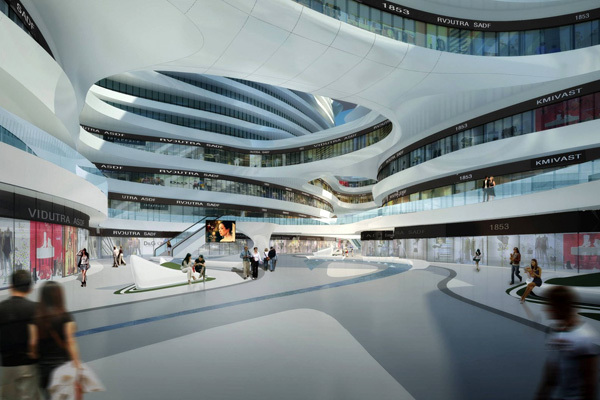 The Galaxy SOHO is still in progress and is a structure of five continuous, flowing volumes coalesce that creates an internal space for offices, retail and entertainment. 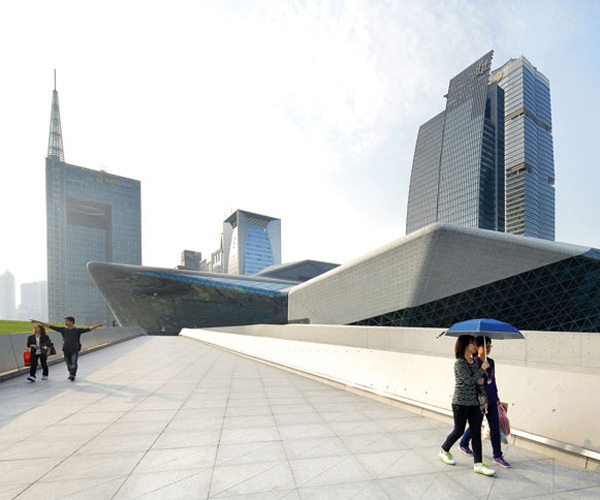 The structure is devoid of any corners and reinvents the classical Chinese courtyards.